The Steiger 4wd emerged from the Red River Valley region nearly 50 years ago. Brothers, Doug and Maurice Steiger, built the first Steiger in their Thief River Falls, Minnesota dairy barn, during the winter of 1957-58. Steiger #1 was built from truck components and powered by a 238 hp Detroit Diesel Engine. The simple and powerful design impressed local farmers and soon the Steiger brothers were building tractors. The Steiger 4wds expanded in 1963 to include a horse power range from 118 hp to 300 hp. They stood out with the Steiger name plate cut from 3/8-inch steal and the models V-8 engine designation cut as a large V in the tractors grill. The success of the Steiger is the main feature was standard components. Major parts, such as engines, transmissions and power trains were outsourced from brand name suppliers like Caterpillar, Cummins, Allison, Clark and Spicer. Farmers liked the components because could find replacement parts nation wide. 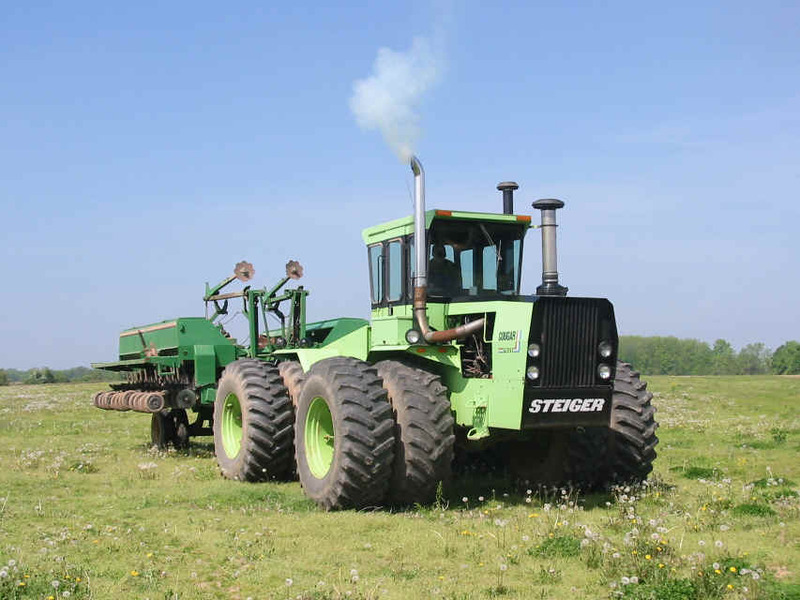 By the 1970s Steiger 4wds were being sold nation wide. Grain, vegetable, row crop and dairy farms were all finding uses for the big 4wds. Steiger 4wds were rolling out of a large factory in Fargo, North Dakota. Cat names like Wildcat, Bearcat, Cougar, Panther and Tiger donated the horse power ranges. New styling and power lead Steiger to the top of the pack with a 36% market share. 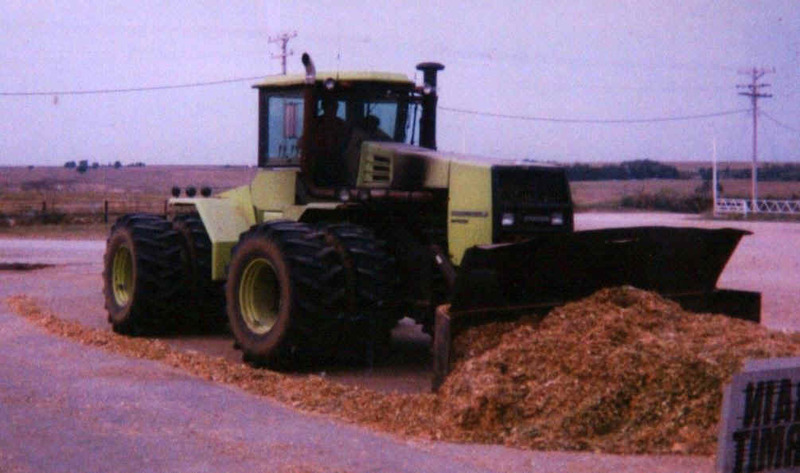 1976 was a big year for Steiger with the introduction of the Series III models. The Series III models offered a new modern cab and a range of new developments. The horse power range grew up to 470 hp and Steiger developed the first pto option on an articulated 4wd. By the end of the decade Steiger had produced its 10,000th tractor. As the Steiger Tractor company entered the 1980s, the tractors size and popularity had grown beyond anything the Steiger brothers would have imagined in 1958. 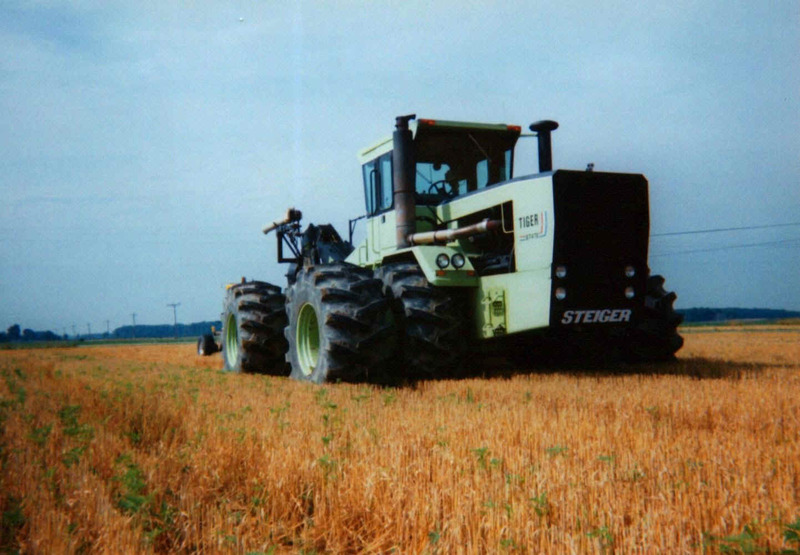 In 1983 Steiger introduced its largest tractor the 525 hp KP-525 and ultra modern Panther 1000 series. The 1000 series was a new 4wd from the ground up. The cab offered an unmatched view of the field and the new sleek hood design allowed for a clear line of site for the ground ahead. By 1985 Steiger was producing 26 tractor models with three engine options, a horse power range from 190 hp for row crop farmers up to 525 hp for the ultimate plowing power. Steiger in a little over 20 years had become a legend in farming. Before Steiger, most farmers beyond the parries could not imagine using an articulated tractor in their operation. Steigers range of model sizes, horse power, transmissions and treads took 4wd power coast to coast. The Iowa corn farmer, California vegetable farmer, Kansas wheat farmer, Arkansas rice farmer, Louisiana sugar can plantation, Texas rancher and Wisconsin dairy farmer all found a way to incorporate 4wd power. 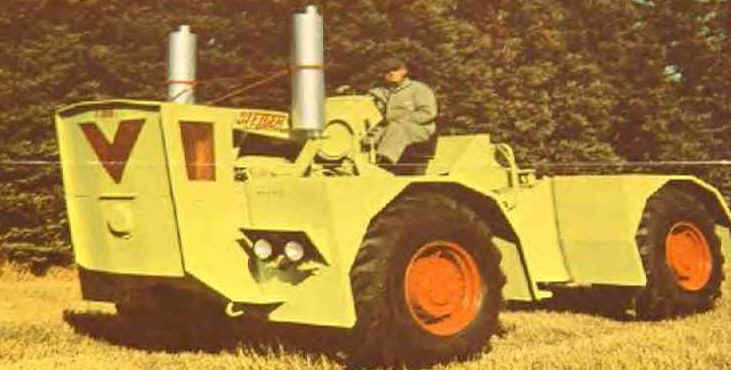 Steiger 4wds were also a global tractor with models going to Europe, Africa and Australia. The Steiger Tractor Company was unmatched in 4wd choices. Unfortunately the economy of the 1980s did not allow farmers to afford so many tractor options in the high horse power class. Sales dropped off and the Steiger factory was only producing at a quarter of its capacity. In 1986 Steiger Tractor Company was purchased by Tenneco the parent company of Case. Case continued producing green Steigers as well as the new 9100 series Case International Steigers. 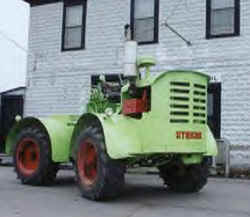 The Steiger name appeared on green and red tractors until 1989. Today the CaseIH STX Steiger series is the market leader in 4wds, with models ranging from 275-500 hp. 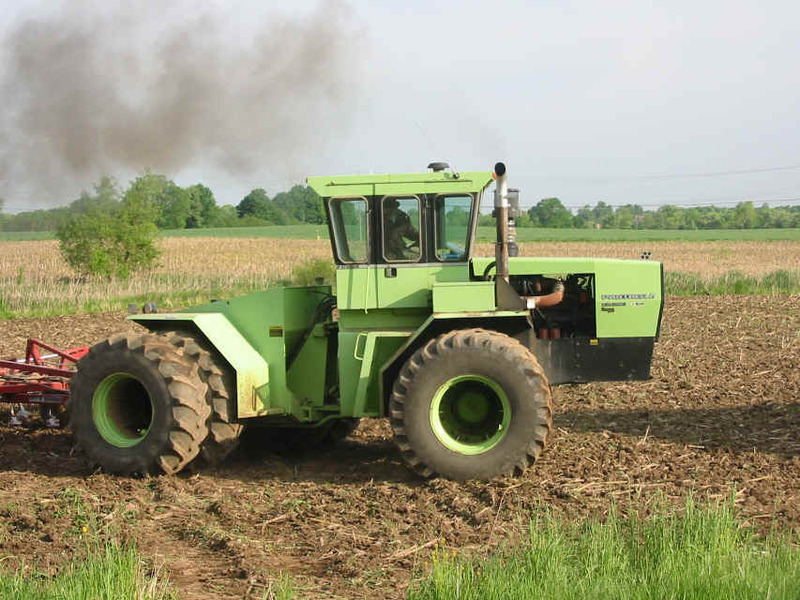 The classic green Steigers still account for a large portion of 4wds used in farming. The Barn Series, Series I, Series II, Series III and 1000 Series were built to last a life time. Many have 10,000, 15,000 and 20,000+ and are running as well as the day they rolled out of the factory. Farmers like Steiger 4wds because they are easy to maintain and use. They represent power to get across the field and put the crop in quickly. The Steiger 4wd history below is a general overview of the Steiger Tractor Company's heritage from 1958-1989. This section highlights the general history, models and horse power ranges of the Barn Series, Series I, Series II, Series III, Series IV, 1000 Series and 9100 Series Steigers. History: The poor farm economy took its tool on the Steiger Tractor Company. With the world farm economy struggling, Steiger sold fewer tractors. In 1986, with the plant operating at 25% of capacity, Steiger filed for Chapter 11 bankruptcy protection. Later that year, Tenneco, Inc. the then parent of J.I. Case, bought Steiger. In 1985 Tenneco purchased Interational Harvesters Ag Division and formed Case-International under the J.I. Case Company. Case-IH tractors took on International's famous Harvester red. 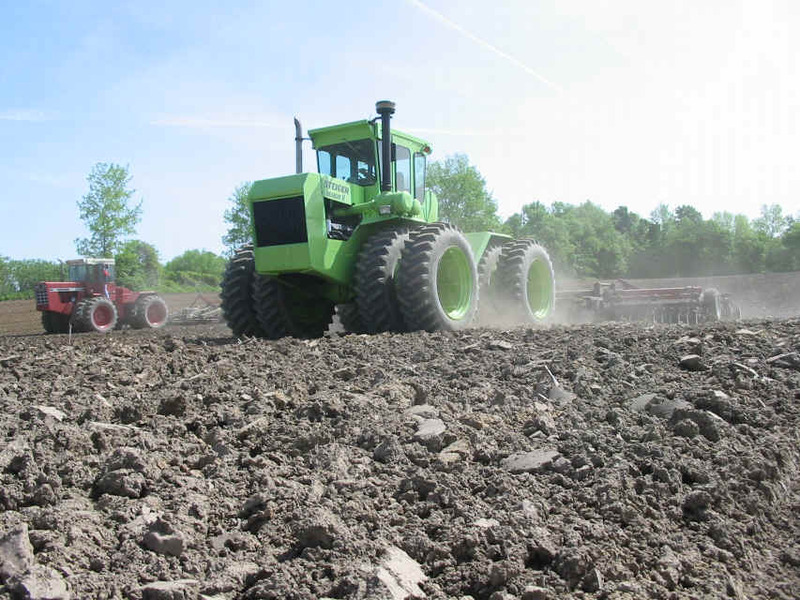 With the purchase of Steiger, Case continued to produce articulated 4wds under the Steiger name as well as producing the first red Case International 9100 series 4wds. Under Case-IH the Cat names were replaced with numbers: Puma = 9110, Wildcat = 9130, Cougar = 9150, Panther = 9170, Lion = 9180, Tiger = 9190. 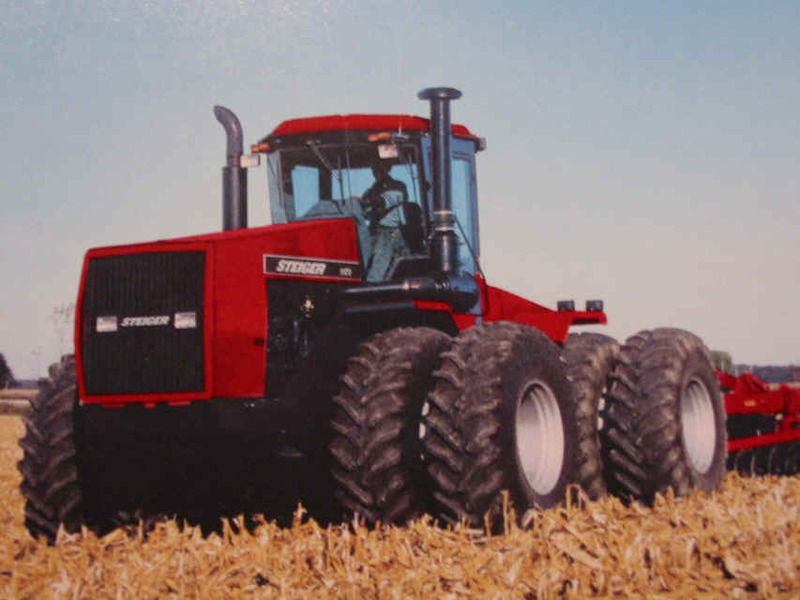 From 1986-1989 customers could purchase a red 9100 series Steiger. In 1990, Case-IH introduced the 9200 series and phased out the Steiger name. Case returned the Steiger name to the 4wd in 1995 with the 9300 series. The Steiger name plate badge was placed on the grill and the CaseIH name on the hood decal. Today the CaseIH STX Steiger series leads the 4wd market in sales and continues the solid Steiger tradition started in 1958. Models: Puma (190 hp) ,Wildcat (220 hp), Cougar ( 225 hp) CR-1225, KR-1225, Bearcat (235 hp), Cougar (280 hp), Panther (325/360/400 hp) CP-1325, KP-1325, CP-1360, KP-1360, CP-1400, KP-1400, Panther (335 hp), Lion (375 hp). History: A new style of Steiger tractor was released in 1983 along with the series IV. The 1000 series was launched with six new Panther models. The Panther 1000 models offered a 12-speed full powershift transmission, on-board computer, and new Safari Cab and sloped to improve visibility. The Panther 1000 series was produced along side the series IV models through 1985. The initial Panther 1000 models were ranged from 325-400 hp and were powered by Caterpillar or Cummins engines. Steiger used CP to mark the Caterpillar engine Panthers and KP for the Cummins models. In 1985 Steiger introduced the Cougar 1000 with two 225 hp models. CR was the Caterpillar model and KR was the Cummins Cougar 1000. 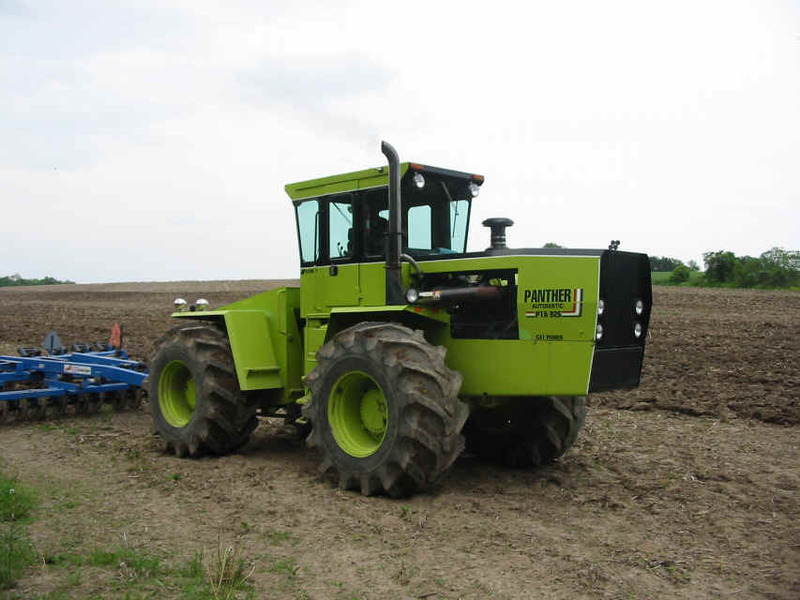 Between 1983 and 1985 Steiger was producing 26 different tractors with the Series IV models and the Panther and Cougar 1000 models. In 1986 Steiger revamped the entire line and simplified it to 6 models. The 1000 series accounted for five models. The new Puma and Wildcat 1000 tractors offered row crop farmers a new modern 4wd. The Bearcat and Cougar 1000 tractors supplied mid-range power. The 6 Panther models were narrowed down to one 335 hp tractor. The new Lion 1000 topped of the series at 375 hp. History: The Series IV Steiger 4wds were best of the line that started in 1969 with the Wildcat I. All of the possible refinements and upgrades had been made. Identification numbers changed on the Series IV. Caterpillar, Cummins and Komatsu engines were the Series IV power plants. The Series IV Bearcat and Cougar were powered by either Caterpillar or Cummins engines. Designation C was for Caterpillar and K for Cummins. The mid-range Panther IV had three engine options, a Caterpillar 3406, Cummins NT 855 or new Komatsu SA6D-125. The Panther IV had a power range of 325 to 360 hp. S designated the Komatsu engine option. The Tiger IV is the largest Steiger built to date at 525 hp (the CaseIH Steiger STX 500 at 500 hp is catching up). The Tiger IV was powered by a Cummins KTA 1150. There were two types transmissions for the series IV. M denoted the 20 speed manual 4wds and S was for the Steigermatic transmission. The Tiger IV was designated KP for the Cummins engine and powershift transmission. History: In 1982 Steiger released a range of yellow tractors for industrial applications in construction, mining, forestry and land leveling. The Industrial tractors were based on the PTA Cougar and Panther design. Steiger beefed up the axles, transmission and hydraulic flow on the Industrial models. The model numbers indicate the engine and horse power. Cummins powered the CU-280, CU-325 and CU-360. The CA-280, CA-325 and CA-360 used Caterpillar engines. Steiger also offered Agricultural models of the CA and CU models for farming. The extra hydraulic power was well matched for large plows, discs and field cultivators. of 4wds from 210-360 hp. These Blue Steigers were sold as the 210 hp Ford FW-20, 270 hp FW-30, 295 hp FW-40 and the 360 hp FW-60. The Ford FW-20 and 30 were dropped in 1980 in favor of the TW series front-wheel assist models increasing sales. The Ford/Steiger relationship ended in 1982 as the North Dakota supplier began to run into finical troubles in the sagging Ag economy. Ford began looking for a new option to provide 4wd power for their tractor line. That new opportunity would come five years later when Ford purchased the Versatile Corporation. Models: PT Bearcat (225 hp) PT-220, Cougar (250/270 hp) PT-250, PT-270, Panther (350 hp) PT-350. PTA Cougar (251/270/280 hp) PTA-251, PTA-270, PTA-280, Panther (296/297/310/325 hp) PTA-296, PTA-297, PTA-310, PTA-325. History: 1977 brought additional advancement to the Steiger Series III with the introduction of electronically controlled PTOs. The Bearcat, Cougar and Panther were available with a limited 125 hp pto. The PT prefix denoted the pto models. The PT Steigers have a longer hood with a slight arch in the center. 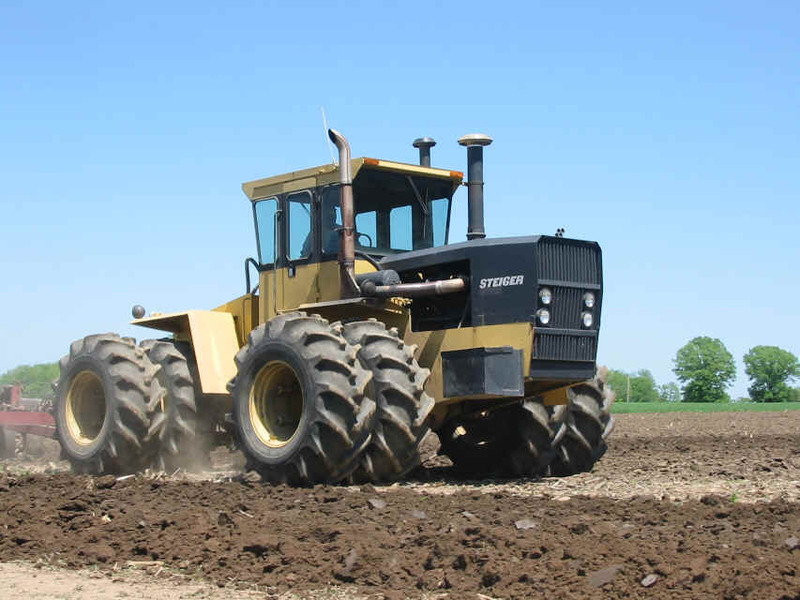 In 1980 Steiger introduced an automatic transmission series fitted with an electronically controlled pto, called PTA. Cougar and Panther tractors were equipped with the new feature. For example the PTA-325 Panther with Steiger-Matic assesses speed and load factors all by itself, automatically maintaining the best gear for maximum power and efficiency. In fact, Steiger-Matic actually locks into each gear to provide a direct link between engine and axel, which gives the operator the efficiency of manual transmission plus the convince of an automatic. The Steiger's Caterpillar powered Panther was the heavy hitter of the Steiger PTA line. As a fully automatic model it proved to be a and still is one of the most popular Steigers. Models: Wildcat (200 hp) ST-200, RC-200, Bearcat (220/225 hp) ST-220, ST-225, Cougar (250/251/270/280 hp) ST-250, ST-251, ST-270, ST-280, Panther (310/320/325/350 hp) ST-310, ST-320, ST-325, ST-350, Tiger (450/470 hp) ST-450, ST-470. History: 1976 ushered in a new generation of Steiger 4wds. The Series III Steigers were introduced to dealers at the winter meeting in Florida. A Circus theme was used complete with a lion tamer. As the new tractor models were announced the lion tamer cracked his whip and the new Wildcat, Bearcat, Cougar and Panther rolled out into the ring. These new models offered both Caterpillar and Cummins engines with a 10 speed constant mesh transmission. The big change from Series II was the all new Safari cab. The Safari offered a new level of comfort and quite with easy to reach controls and improved visibility. The Series I and II Steigers shift was in the center of the cab and the hydrualic switch on the rear of the cab. The Series III cab made operating the 4wd convenient and allowed the operator to sit in air conditioning and the power do the work. 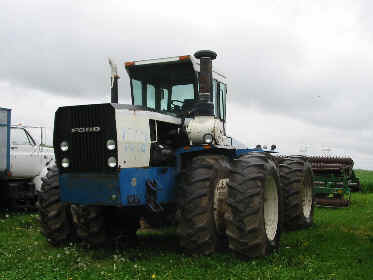 In 1977 Steiger increased the series power to include the 450 and 470 hp Tiger models. The Series III Steiger 4wds captured 36% of the North American 4wd market. Models: Super Wildcat (200 hp) ST-200, RC-200, Bearcat (225 hp) ST-225, RC-225, Cougar (300 hp) ST-300, Panther (310 hp) ST-310, Turbo Tiger (320 hp) ST-320. History: In 1974 Steiger broke ground on a new factory. In less than a year the new 420,000 square foot manufacturing facility was finished. It employed 1,100 people and could produce a new Steiger 4wd every 18 minutes. This plant is owned by Case-New Holland today and produces the CaseIH STX Steiger 4wd line, Case/New Holland Wheel Loaders, the New Holland TJ 4wd line and TV 145 bi-directional tractor. 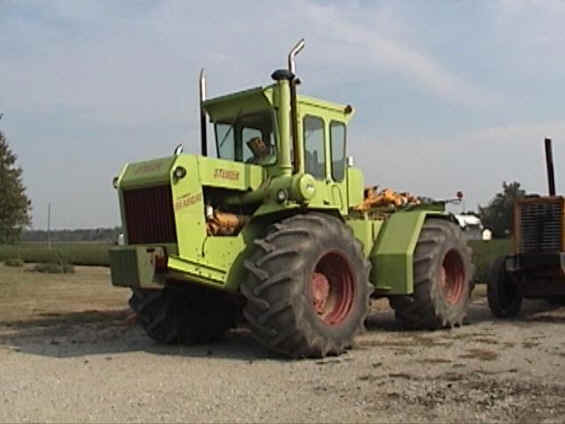 In 1974 the new Fargo plant began producing the Steiger Series II 4wds. Steiger Series II 4wds were basically the same in as far as tin work and features. 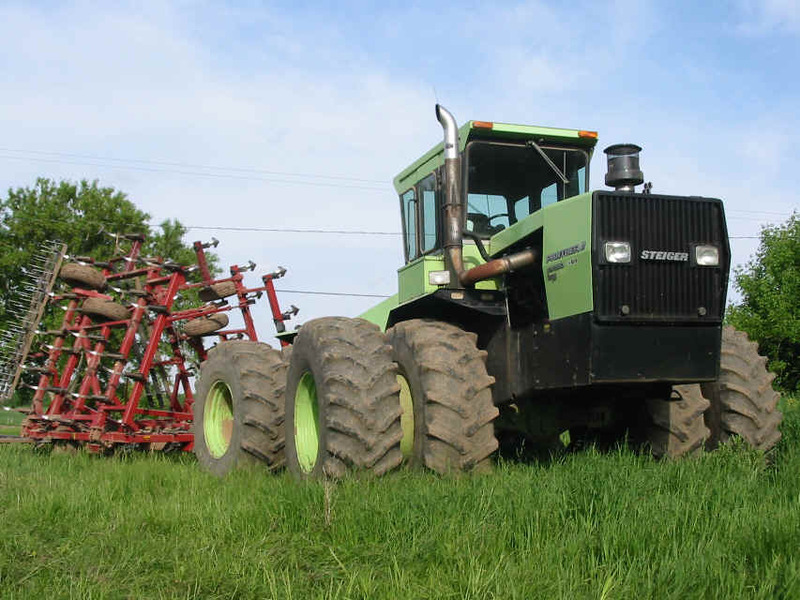 Steiger changed the paint scheme from green and red to a green frame and wheels and a black grill, hood and cab. The CAT engine was also painted black. The Panther was added to the line. Steiger also began offering the Wildcat and Bearcat available in standard and row crop. The Series II Steigers were denoted with the prefix ST for standard models and RC for row crop models in front of the horse power. For example the Panther II was the ST-310 (Standard 310 hp) and the Bearcat II could be the ST-225 (Standard 225 hp) or RC-225 ( Row Crop 225 hp). Models: Wildcat (175 hp), Super Wildcat (200 hp), Bearcat (225 hp), Cougar (300 hp), Tiger (310 hp), Turbo Tiger (320 hp). History: The Steiger brand 4wds quickly grew in popularity with farmers in the plains. Selling 4wds beyond that region, proved to be difficult. Salesman Earl Christianson saw 200 hp machines working on construction sites and watched 90 hp-50 hp 2wd tractors struggling n farmland. Why not big horse power on the farm? Earl joined the Steiger brothers in the 1960s and greatly expanded their sales region. Steiger grew beyond the barn and an investor group purchased the company to expand and improve its product range. In 1969 Steiger opened a new production facility in Fargo, North Dakota. The Wildcat was the first Steiger to roll out of the factory. Steiger replaced the numbered models with the famous cat names that marked the 4wd line horse power range for two decades. The Series I Steigers offered a new refined chassis, tin work, a climatized cab mounted independently from the tractor frame and a 10/2 transmission. The Series I tractors continued using Steiger green on the frame and red on the grill and wheels. All of the tractors used Caterpillar engines and they were left in standard CAT yellow. In 1970 sixty-six dealerships took on Steiger. Series I Steigers were sold in new markets from coast to coast. In the South to rice farmers in Arkansas, Louisiana and Oklahoma were quick to add 4wds to their operation. On the East Coast in New York, Pennsylvania, Maryland, Delaware and North Carolina cash crop and dairy farmers used Steigers to plow their land like never before. On the West Coast large vegetable farmers in California, grass seed farmers in Oregon and hillside wheat farmers in Washington added the 4wds to their operations. Models: 1250 (150 hp), 1700 (216 hp), 2200 (238 hp) 3300 (328 hp) 800 Tiger (300 hp). History: Steiger #1 won local fame in the Red River Falls region. Local farms were so impressed by the Steiger that they asked the brothers to build 4wds for their farms. In the early 1960's the brothers began producing a 118 hp 4wd similar to the #1 called the 1200. In 1963 the brothers began to design and build a series of tractors on their farm. These second generation Barn Series 4wds were distinct with a large V cut in the front of the tractor to create a grill. 126 of the Barn Series 4wds were produced and sold in the Northern Plains States and Canadian Provinces.